Turn every play area into a safe and engaging place that encourages early childhood development. 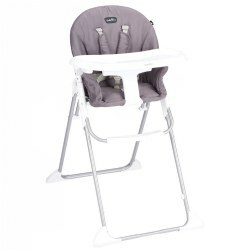 Kaplan offers cribs, safeguard locks, and playpens to help parents watch over little ones, as well as step trashcans, step stools, changing tables, bouncers, rugs, chairs, and tables to add the finishing touches to any play center. 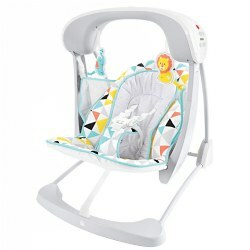 The Slim Spaces Compact Swing is convenient without sacrificing the interaction with baby that is found in a full size swing. 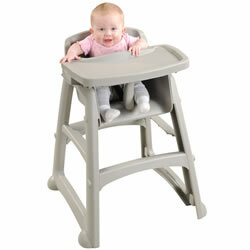 Height adjustable legs allow the baby to always be at the right height for interaction. 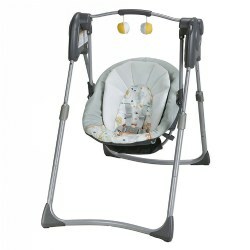 The swing folds compactly, which makes it easier to put away when extra space is limited. Features a carry handle and is battery operated for ultimate portability. Weight limit: 5.5 lbs. - 25 lbs. 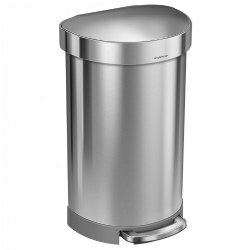 Measures 22.25"L x 16.22"W x 25.35"H. Requires 4 D batteries (not included). 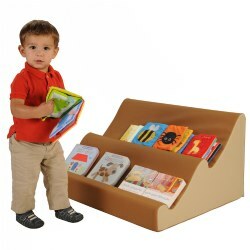 Children will feel confident selecting learning materials they can easily see. This perfectly sized piece offers six clear storage bins that can be removed for floor play or fill-and-dump activities. Assembly required. Measures 14"H x 26"W x 14"D. Contents not included. 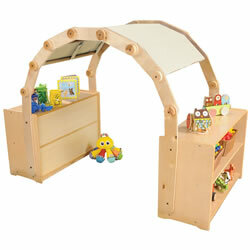 Create a new toddler discovery area in your classroom! This unit will draw children to a special discovery place to explore. 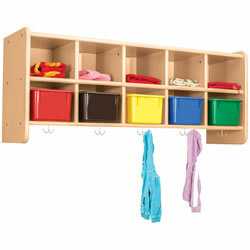 Two storage shelving units keep toys and manipulatives close at hand. 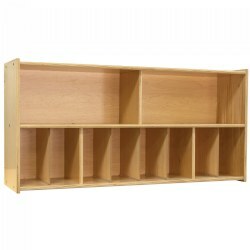 Storage units measure 24"H x 36"W x 15"D. Total area dimensions for set: 77"W x 36"D. Assembly required. Birth & up. 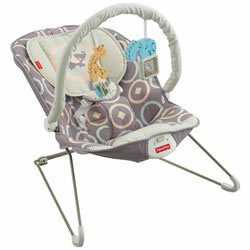 This contemporary bouncer includes a head pillow and cradled seat, plus soft fabrics. The toy bar has 2 deluxe character activity toys - a giraffe with clacker beads and a zebra with rattle cube. 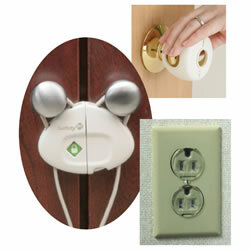 Soothing vibrations calm infants, and a 3-point restraint keeps baby secure. 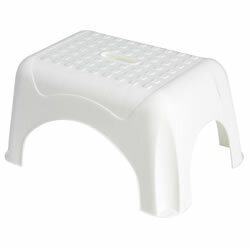 Machine washable pad and non-skid feet. Requires 1 D battery, not included. 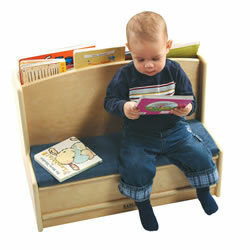 Versatile pieces let children learn to pull up and walk around holding onto the sides for support. Flip the unit over for extra storage. Sturdy wood construction. 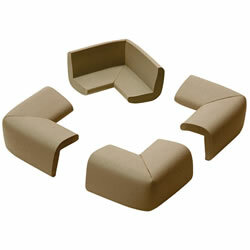 Soft vinyl covering cushions falls, absorbs sound, and makes cleaning a breeze. 25 1/2"W x 12"D.
These handy baskets are lightweight, easy to carry around, won't scratch your furniture, and fold flat for storage. 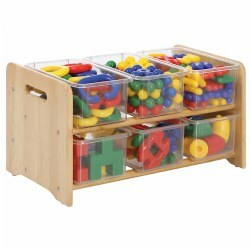 Ideal for storing and organizing toys in your classroom. Handles on the sides for lifting and carrying. Remove the bottom insert panel and the cube folds flat! Fabric is a poly/cotton blend and can be spot cleaned with a damp cloth. Do not immerse the baskets in water. 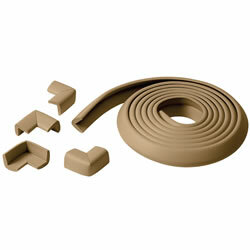 Each basket measures 10 1/4"W x 11 1/4"D x 9 1/4"W. Set of 2. Two products in one! 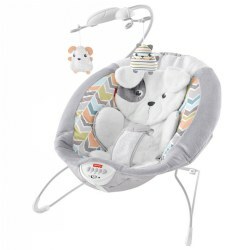 Soothing 6-speed swing with optional vibration doubles as a stationary infant seat that plays 10 songs and nature sounds. Features optional calming vibrations for extra soothing. Includes two soft toys to entertain. 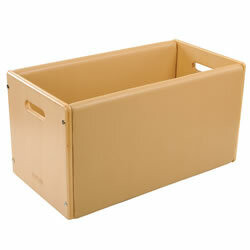 Easy-fold frame with handle for quick storage. Seat pad is machine washable. Requires 4 C batteries (not included). 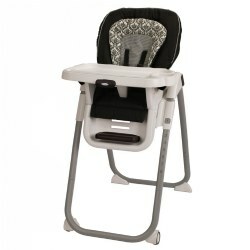 Deep and extra-cushy seat with soft, supportive head rest and newborn insert. Removable mobile with 2 hanging puppy toys. Calming vibrations and 20 minutes of music and sounds. Adjustable 3-point restraint. Lightweight design and non-skid feet. 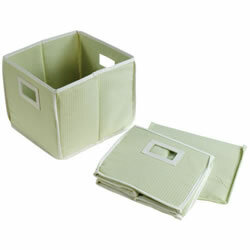 Removable, machine-washable and dryer safe seat pad. Requires 3 C batteries (not included). 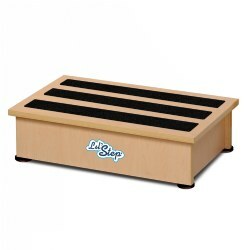 Sturdy Lil' Step is perfect for little ones to step up on to wash their hands at the sink. This quality-constructed step gives children an extra 6" in height and features slip resistant rubber feet and safety strips on top. Measures 22 3/4"W x 13 1/2" x 6"H and holds up to 300 lbs. 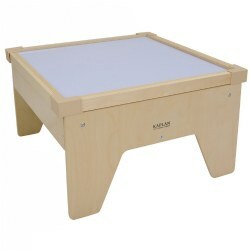 Features: Fully Assembled, Slip Resistant Rubber Feet, Slip Resistant Safety Strips, and Melamine (Phtalate and Lead Free).